Staff Sgt. 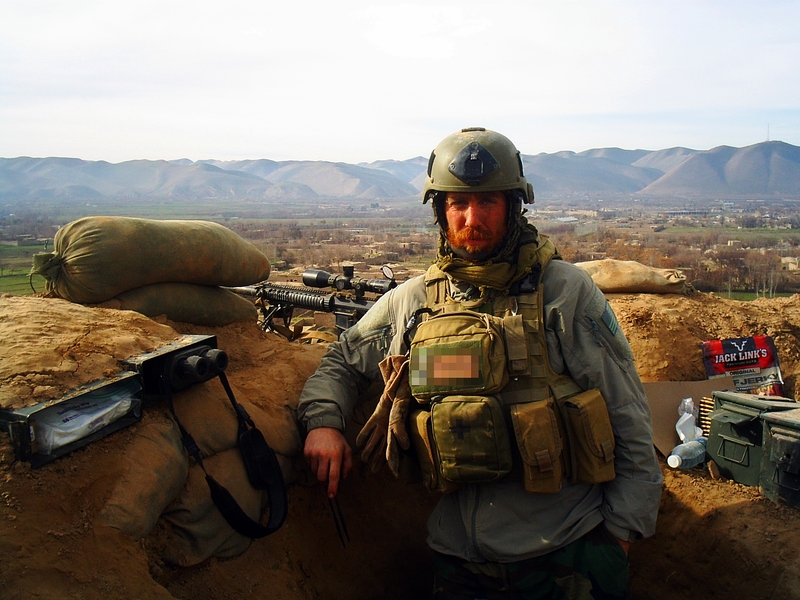 Michael Golembesky in Afghanistan with MARSOC. Maj. Fred Galvin, who led the first Marine Corps Special Operations Command unit to ever deploy to Afghanistan and was later the subject of an investigation into a controversial firefight that got his unit booted from the country, will write the foreword for “Level Zero Heroes,” the book’s author recently told Marine Corps Times. Penned by former Staff Sgt. Michael Golembesky and set for release this fall, Level Zero Heroes will follow the story of Golembesky’s unit, Marine Special Operations Team 8222, which fought an entrenched insurgency for seven months in 2009 and 2010 out of Forward Operating Base Todd in Afghanistan’s Bala Murghab River Valley, near the border of Turkmenistan. His account will be the first to detail the experiences of a Marine special operator in Afghanistan. MSOT 8222’s exploits were also featured in an episode of National Geographic’s Eyewitness War and inspired a documentary film about Posttraumatic Stress Disorder called INFIL_EXFIL. Written and produced by Golembesky, it features members of his unit, soldiers and airmen with the Army’s Operational Detachment Alpha 1314 and Afghan commandos. Galvin, the foreword’s author, deployed in 2007 as the commander of MARSOC’s Fox Company. The 120-man company was booted from the country after their involvement in a controversial firefight on March 4, 2007 that allegedly resulted in the deaths of as many as 19 civilians. The engagement near Jalalabad in eastern Afghanistan was sparked by a suicide vehicle bomb and small arms ambush. Galvin contended that his unit responded appropriately to hostile fire but he was relieved of command before eventually being cleared of any criminal charges relating to the deaths of civilian Afghans on May 23, 2008. Level Zero Heroes is now available for preorder through amazon.com or Barnes & Noble for about $20. This blog post was amended to reflect that Galvin and other Marines in the unit were cleared of criminal charges related to the 2007 firefight on May 23, 2008. Additionally, Galvin’s executive officer Capt. Robert Olsen was not relieved of command. Galvin continues to serve on active duty. When I heard about this incident shortly after it happened, especially that Company “Fox”, MARSOC, was EXPELLED from Afghanistan because they weren’t selective enough in their targets as well as being accused of over killing. I couldn’t believe what I was reading !! Having experienced a several hands on in your face, Counter Ambush fire fights myself, I can guarantee all who are reading my Comment, Had my Marines and I worried about over kill I wouldn’t be writing this response today. Every reader who has even the slightest Combat experience knows exactly what I’m talking about! When you are shooting from a fast moving vehicle and have Full auto, AK-47 rounds that travel at about 2,750 FPS and RPG’s that travel about 950 FPS are incoming the last thing you worry about is if your Marines are “overkilling”. In fact the order of the day is gain Fire superiority over your group who is trying to kill you! Much less trying to be more selective of your target acquisition! Especially from a fast moving vehicle. We teach shoot to kill individuals, at center MASS! “The largest part of the body”. When there is a group shooting at you and they are all dressed alike center mass means, the middle of that group, the last thing you worry about is over kill! I realize of course, it’s much easier to be critical when your judging your Warriors actions, from a distance. The Pucker factor is much less from several miles away from the impact area. There was collateral damage. That’s the nature of WAR, Sort of makes me wonder how much real world Combat experience the Senior officer who made the decision to Expel the Marines from Afghanistan really had before this incident? Thank God common sense prevailed over Political Correctness! I’m betting that Marines made the final decision, to acquit this fine group of young Warriors. God Bless everyone of them! “In any War you fight to Win or you don’t Win”!